56CM center to center. Horizontal top tube. No nonsense track geometry--short wheelbase, steep angles, high bottom bracket and 120mm rear spacing with big cro-mo tubes. 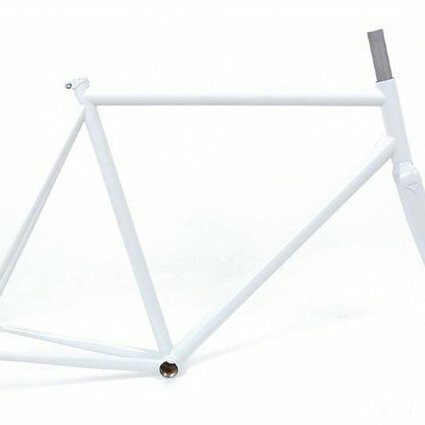 This frame is stiff and quick handling. Drilled to accept calipers for road training, but no allowance made for fenders, racks, fat tires, or cantilevers. 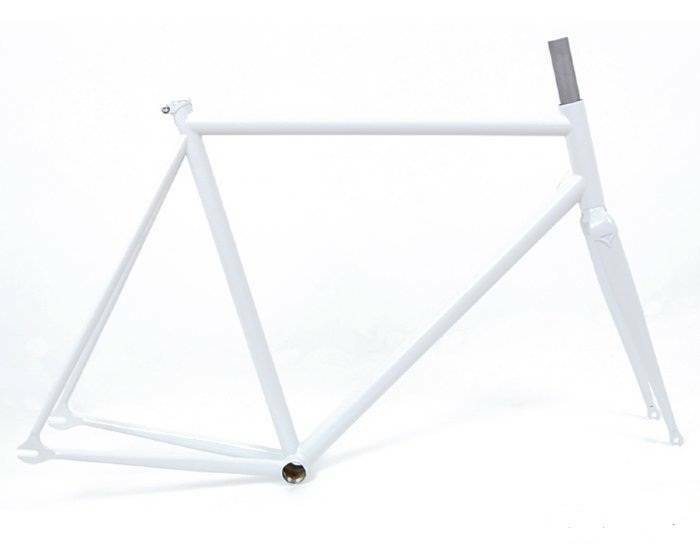 This is the original single color, decal-less track frameset. More room for your team and sponsor stickers.